Welcome to the latest issue of Golf Information News! ...and other unexpected hazards of golf in wartime, by Dale Concannon. 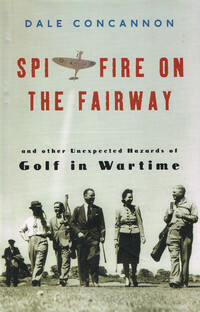 This book tells the story of golf in wartime, from the ban on golf in fifteenth century Scotland because it interfered with compulsory archery practice, through the Niblick Brigade of golf pros that volunteered for the Western front, to the Afghan mujahedin playing a bombed-out course with a golf bag on one shoulder and a Kalashikov on the other, and Billy Caspar's visit to Vietnam to rally the troops. 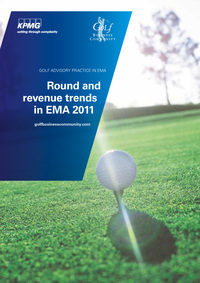 This report is based on a questionnaire-survey of 380 golf course operators in the EMA region about their business performance in 2011, the measures they have taken to improve profitablilty, as well as their future expectations. It is the first time since the onset of the economic downturn in 2008 that the annual survey has returned positive results. There was a similar improvement in sentiment, with 57% of all facilities surveyed saying their business performance was ‘good’ or ‘excellent’, and only 8% as ‘poor’ or ‘very poor’, compared with 44% and 17% respectively in 2010. A round up of recently published articles from a range of magazines and online newsletters. 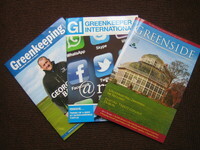 All the usual titles have been covered, including the latest issues of Golf Management Europe, Greenkeeper International, Greenkeeping and Greenside.